Product prices and availability are accurate as of 2019-04-13 12:58:01 EDT and are subject to change. Any price and availability information displayed on http://www.amazon.com/ at the time of purchase will apply to the purchase of this product. Sabrina's Body Butter is made from all natural ingredients: Shea Butter, Cocoa Butter, Aloe Vera, Coconut Oil, Grape Seed Oil, and Vitamin E. All of these ingredients have different properties that benefit the skin and hair. 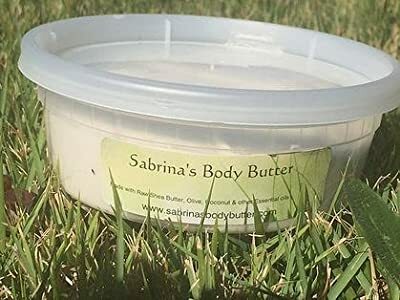 We have been selling Sabrina's Body Butter at our local farmers market for the past 5 years. We have developed the best product for our customers, based upon their opinions and requests. We make Sabrina's Body Butter using 100% Ghanaian Unrefined Raw Shea Butter. Unrefined Shea Butter at its natural state is semi solid, we first melt the shea butter to get it in a liquid state, to blend the other ingredients. 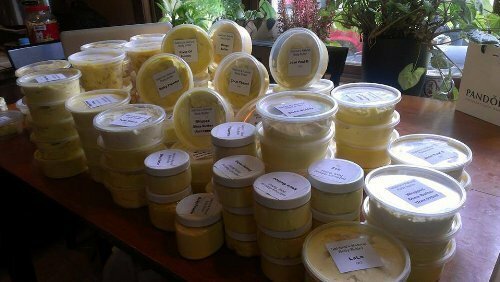 We then whip all of the ingredients together, so that Sabrina's Body Butter applies smoothly to the skin and hair. External Use Only, this product is not for consumption.